Through Baptism we are reborn and adopted as children of God – inheritors of God’s new and eternal life. God loves us first, before we can do anything; it is not earned or deserved. Baptism reinforces that grace through water and the Word of God. The water symbolically washes away our sinful nature and with the Word, grants salvation to all who believe. 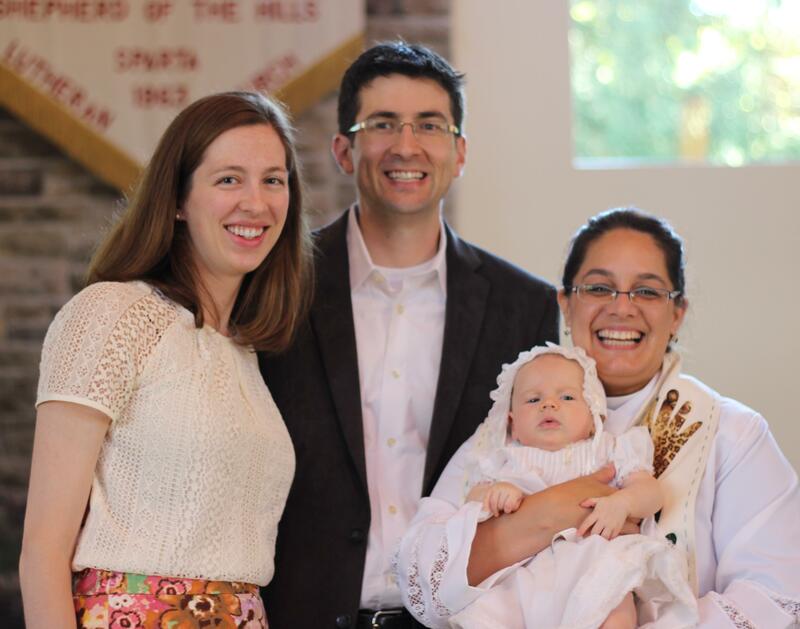 As Lutherans, we believe that baptism is a sacrament available for children and adults alike. We also believe that one needs only to be baptized once – that the benefits of the sacrament last a lifetime. Baptism is also a communal event as we welcome and affirm those presented into the family of our church as well as the family of God. Should you desire baptism for yourself or your child, we ask you to contact Pastor Tina at 973-729-7010 to discuss and schedule this important sacrament. 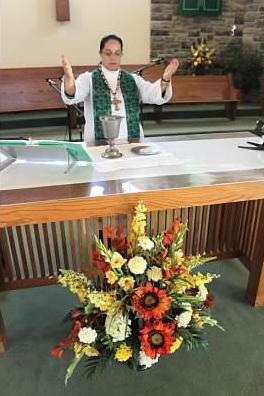 All people are invited to the Lord’s Table to partake in the Sacrament of Holy Communion. Jesus invited all to share in the meal of forgiveness and grace that night in Upper Room with his disciples. Communion is practiced with an open table – to invite and encourage those who desire to join us at the table. 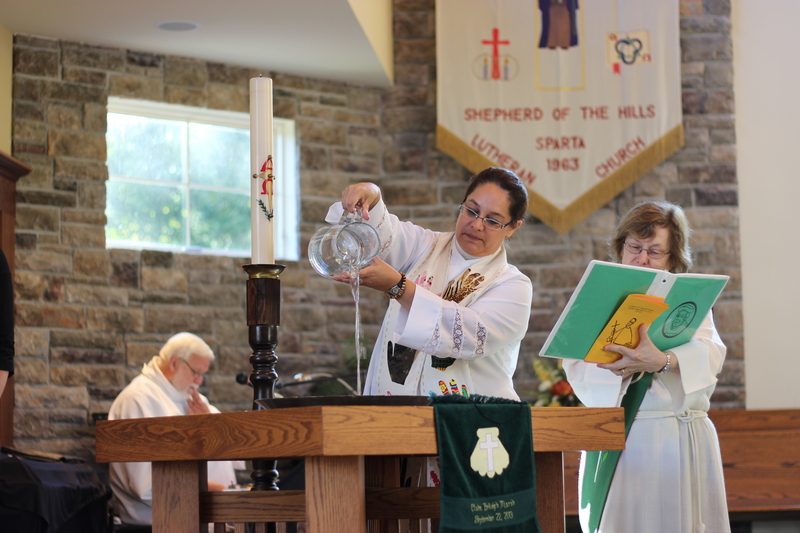 At Shepherd of the Hills, Holy Communion is celebrated at all worship services. All baptized people are welcome to share the presence of Jesus Christ made known in the bread and the wine. Gluten free bread and grape juice are available for those who so desire. For those who do not wish to partake in the meal, you are encouraged to come to the table to receive a blessing.